Give a gift with lasting social impact to your clients, employees, contractors or donors. 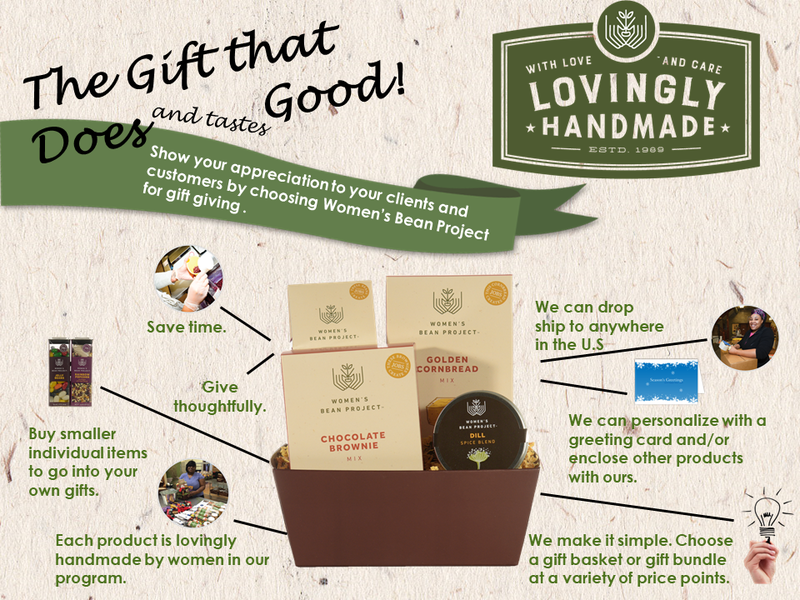 Women’s Bean Project has a line of unique gourmet food gifts ranging from $11-$79. You can enclose extras and your own notes to customize your item. And, save time by taking advantage of our drop-ship program to easily ship to numerous addresses nationwide. Please call us at 303-292-1919 or email [email protected] for more information.